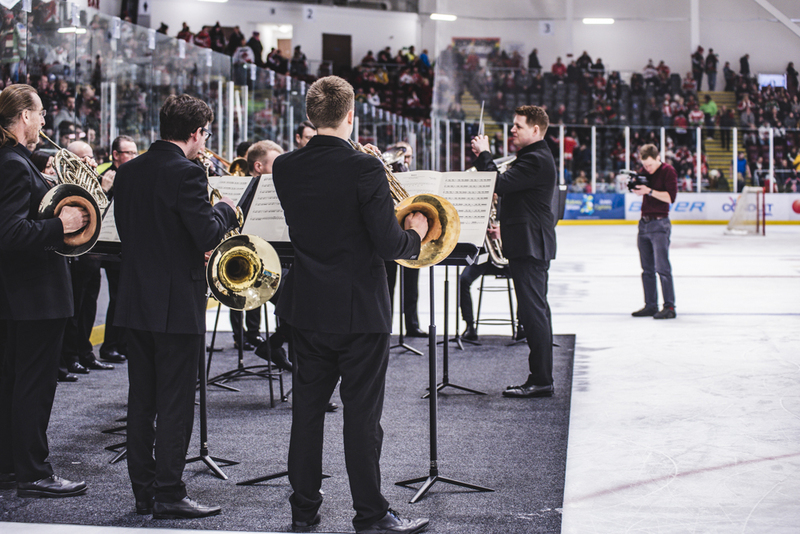 Members of BBC National Orchestra of Wales (BBC NOW) – including a former ice hockey player – joined ice hockey team the Cardiff Devils yesterday at the Viola Arena to give a special performance of Bolero, ahead of BBC NOW’s Bolero: Viva España concerts in Cardiff and Swansea this week. 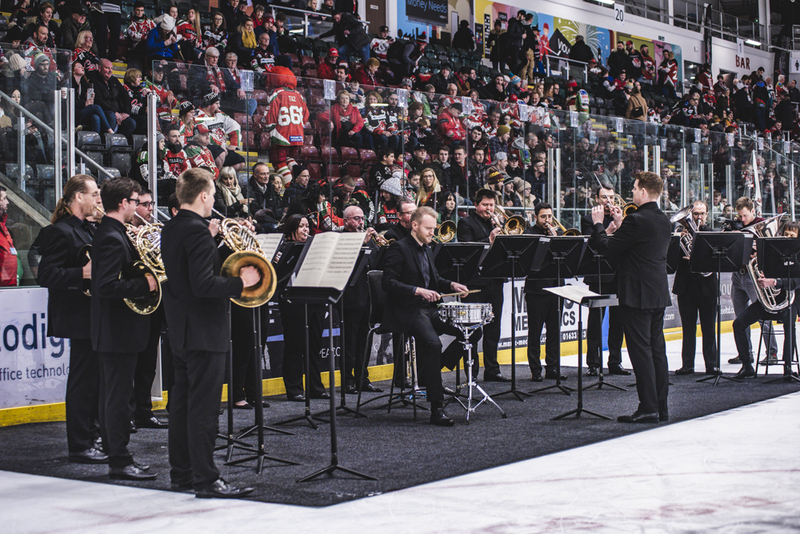 Ahead of the Cardiff Devils’ game in Cardiff Bay last night, sixteen members of BBC NOW took to the ice to perform a piece of music, which is synonymous with ice rinks all over the world. Bolero by Ravel was made famous 35 years ago [14 February 1984], when Jane Torvill and Christopher Dean won gold at the Sarajevo Winter Olympics. This landmark moment has led to Bolero becoming one of the most recognised pieces of music in the classical repertoire.